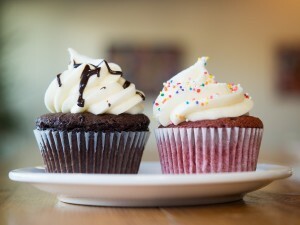 Gluten-Free Living > Gluten-Free Lifestyle > Enjoying Awesome Austin – Gluten Free! Enjoying Awesome Austin – Gluten Free! Known for its vibrant live music, proudly quirky culture and dynamic food scene, Austin enjoys top spots on countless local and national tourism lists. Despite all the rave reviews, though, I managed to evade the Texas capital’s siren song of tacos and sunshine until very recently. The moment I arrived I regretted not planning to stay for at least twice as long as my schedule allowed. 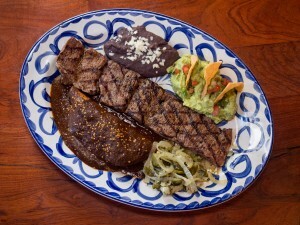 Austin is rightly celebrated for its barbecue, Mexican and Tex-Mex cuisine. I was thrilled to find that not only are the city’s culinary offerings outstanding, but they’re also incredibly diverse. Even better, I found gluten-free fare in just about every corner of the city thanks to top-notch chefs, innovative pop-ups and an engaged food scene. I fit the following into a five-day stopover, but I easily could have stayed for two weeks. Austin is a city of festivals, and the events with the largest footprints take place right in the heart of town. If you’re lucky enough to visit around some of the biggest music and culture happenings, such as South by Southwest (SXSW) in the early spring or the Austin City Limits Festival (ACL) in the fall, you’ll experience the city at its most vibrant. That’s when it’s also most crowded so prepare yourself for lines, and keep your eyes on the prize, that is, tacos. Fueling up for a day in Austin is easy, thanks to the centrally located flagship Whole Foods Market. Much more than a standard Whole Foods store, this location has dozens of prepared food stations that serve up everything from breakfast tacos to mouthwatering barbecue to dim sum. Check with individual food stands to confirm whether daily offerings are gluten free. If you can’t find anything that strikes your fancy, grab a few prepackaged goods from local gluten-free companies including Bearded Brothers and Hail Merry. A stop at Zilker Park is essential when you’re downtown. Arguably the city’s best park, it encompasses a vast expanse of green on the south bank of the Colorado River. This is the ideal spot to get some fresh air, bike or run along miles of trails, and visit the Zilker Botanical Gardens or Austin Nature & Science Center. ­The park is also home to the Barton Springs Pool, natural springs that boast a comfortable temperature for nearly year-round swimming. After getting some sun, you’ll likely be hungry, and that’s a good thing. Austin’s tacos are the stuff of legend, and several local chains vie to hold top rank. Th­e original location of Tacodeli, one of Austin’s best, isn’t far from Zilker Park. In anticipation of a barbecue-heavy diet later in the week, I focused on the vegetarian menu here, which proved to be a good choice. I was impressed with the variety of vegetarian options, from the basic Heather with black beans and grilled queso to the out-of-this-world Space Cowboy with roasted portobellos and jack cheese. With Texas’ larger-than-life approach to many things, it’s no surprise that the Texas State Capitol is the largest such building in the nation. Statues and monuments fill the vast grounds, which are well worth a leisurely stroll. To get a glimpse inside, join one of the frequent tours and learn how this fascinating red granite building came to be. There’s no shortage of dining options around the State Capitol, but nearby Italic was the clear choice for me. Though this modern, upscale Italian spot is Texas-sized, you won’t find Americanized fare here. Instead, the focus is on contemporary interpretations of classic recipes, clean ingredients, and local meats and produce. 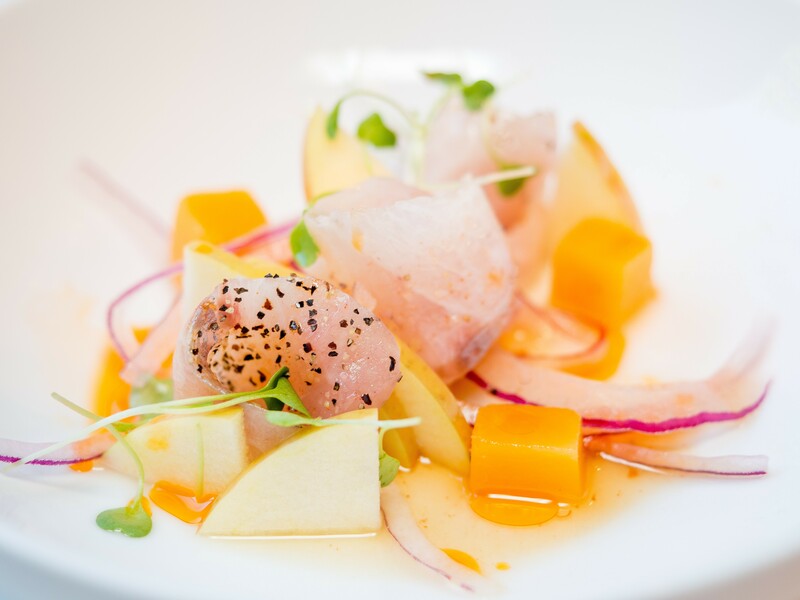 Italic has a comprehensive gluten-free menu, and Chef Andrew Curren and his team take real pleasure in preparing flavorful dishes that everyone can eat. “There’s pride in doing things right,” he says. 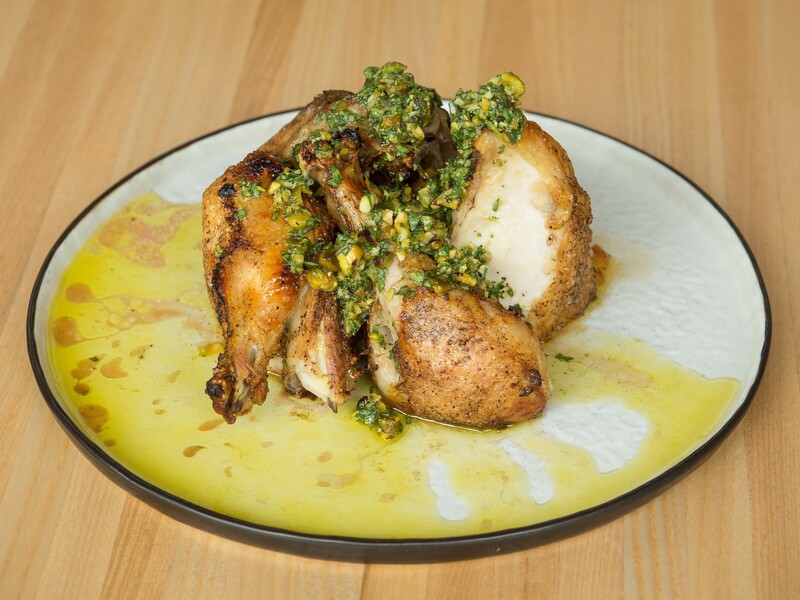 Italic’s signature dish is the visually impressive and simply delicious half chicken, which features impossibly tender meat, perfectly crisp skin and a generous portion of zesty arugula-pistachio pesto. The menu here changes frequently depending on the season, but I heartily recommend keeping an eye out for the light, crunchy polenta fries, the citrusy rainbow carrots and the warm calamari salad with pumpkin seeds. For a city that boasts such a lively bar and live music scene, I was surprised to find that Austin doesn’t have many 24-hour dining establishments. The 24 Diner, which is owned by the same group as Italic and where Curren is also a chef, saves the day, as it’s one of the very few spots open around the clock. Specialties include burgers and breakfast, but this is no greasy spoon. Instead, the diner sources produce and ingredients from about 100 local farms, and the menu changes seasonally. For nearly five years 24 Diner has catered to gluten-free customers, and the hearty frittatas and hashes hit the spot any time of day or night. Only a few blocks east of downtown, East Austin offers a colorful, homegrown atmosphere with blocks of public art, boutiques, cafés and bars. Though the neighborhood buzzes during the day, it really comes alive at night, when what seems like half of the city stops by to grab a bite or just hang out. East Austin is the epicenter of food truck culture in Austin, but it’s by no means the only place to find these mobile restaurants. Most of the trucks here reside in semipermanent encampments, giving patrons plenty of space to hold down a table and get comfortable. One of the best known and most in-demand trucks is East Side King, a dynamic Asian fusion spot. Most menu items feature surprising combinations, and the majority are gluten free, including the beet home fries, sweet and spicy Brussels sprout salad and Thai chicken. East Side King and most other food carts here don’t open until the evening, but they stay open until the early morning hours. The city stands proudly behind the motto “Keep Austin Weird,” and a good example of this sentiment is apparent in one of Austin’s most popular tourist activities. The Congress Avenue Bridge’s construction has long made it a desirable home for bats. The city embraces these nocturnal residents by gathering to watch them emerge by the thousands every night. Join in by taking a bat cruise, renting a paddle board or boat, or lining up on the bridge itself shortly before dusk. South Congress Avenue, a mecca for quirky shops, live music and great eats, is just south of the bridge. Take your time wandering up and down several action-packed blocks of this neighborhood. 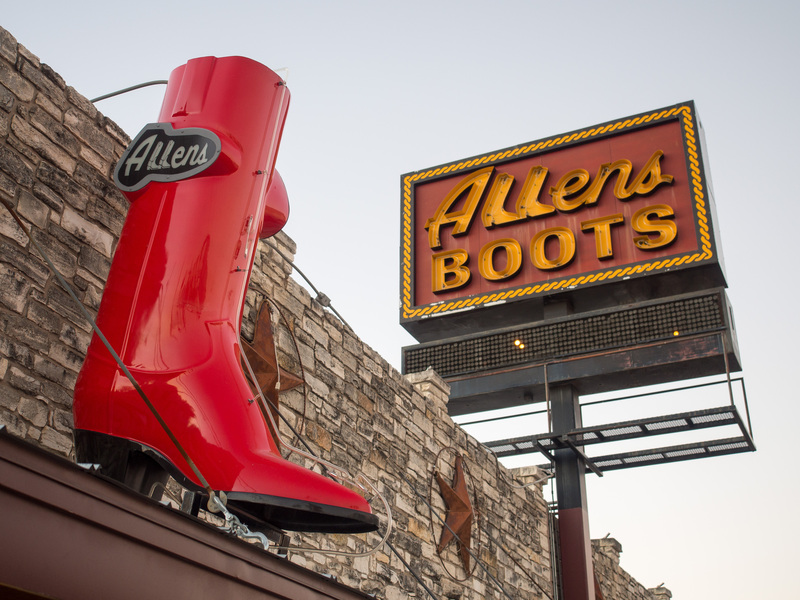 And don’t miss the legendary Allens Boots, which has supplied Austinites and visitors with authentic cowboy boots and western wear for decades. Sip a margarita and dance to the live music at one of the many outdoor patios, but save your appetite for a fun and funky spot on the northern end of the avenue. Like a select few top-notch spots across the United States, Lucky Robot understands how easy it is on both customers and kitchen staff to make the majority of dishes gluten free with simple switches such as replacing the soy sauce with tamari. As a result, much of the menu at this hip sushi joint is naturally gluten free, but that doesn’t include any fried items. Start with fresh tuna or salmon straight from Tokyo’s Tsukiji Market, or choose from fusion-style rolls with delectable combinations such as wagyu short rib and avocado. Of course, you haven’t really eaten at Lucky Robot until you’ve devoured one of their Robo Don bowls, stacked to the brim with grilled yellowtail, local veggies and a rich red curry sauce over rice. 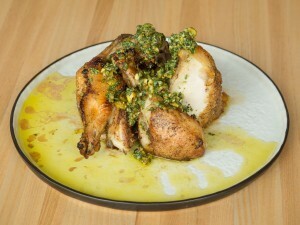 I recommend taking another leisurely stroll down South Congress to let this decadent meal settle. In central Austin, the University of Texas for decades has driven growth, business and cuisine along Guadalupe Street. Wild Wood Bakehouse, one of Austin’s few completely gluten-free restaurants, has been at the forefront of the area’s development for more than 10 years. Sunday brunch is one of the most popular meals here, with an all-you-can-eat spread of more than 20 gluten-free dishes such as migas, chile rellenos, waffles, and biscuits and gravy. As a bake house first and foremost, Wild Wood also turns out some of the city’s best gluten-free cakes and cupcakes, along with my favorite, the whoopee pie made with coconut cream. If you ask ­five Austinites about the best barbecue in town, you’re bound to hear ­ five different answers. There’s no question that my top pick is Black’s BBQ, where the Black family has been perfecting their technique for over 70 years. 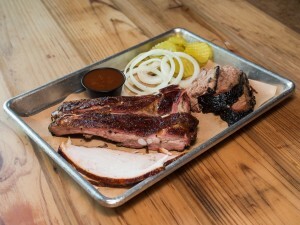 The meat is smoked daily at the restaurant’s original Lockhart location, and history and love are apparent in every bite. If you can’t decide whether to order brisket, pork spareribs, beef ribs, turkey, pulled pork or chopped beef, one taste of Black’s fatty brisket will set you straight. All meats here except the sausage are naturally gluten free, but be sure to ask for a clean knife and cutting surface. Sides such as Norma Jean’s beans and coleslaw are gluten free, as are the sauces, but chances are you’ll ­find the barbecue so good you won’t need sauce. Like barbecue, Tex-Mex in Austin tends to incite intense debate, but in my book Maudie’s is the clear winner. This local chain has seen Austin’s gluten-free community grow ­first hand and has risen to meet the call of gluten-free diners craving Tex-Mex. Much of Tex-Mex is naturally gluten free, but Maudie’s takes steps to ensure that items on its gluten-free menu are safe for those who need gluten-free options. 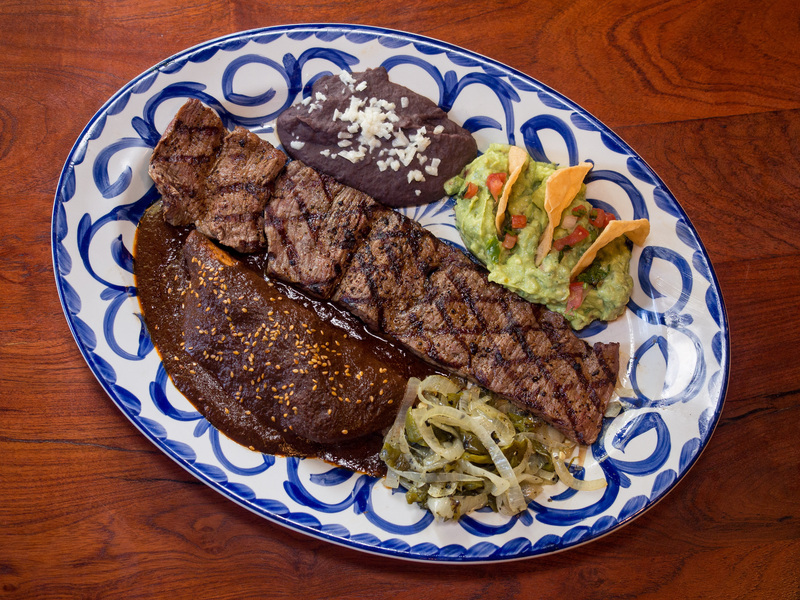 From enchiladas to chile rellenos to chile con carne, Tex-Mex delicacies that are usually off-limits are both safe and delicious here. For the city’s best Mexican cuisine, there’s no better choice than central Austin’s Fonda San Miguel, which has dazzled locals and visitors for more than 40 years. Fonda immediately seduced me with its Mexican hacienda atmosphere, which makes every plate of tamales, carne asada and flan festive. Gluten-free options are clearly labeled, and Fonda’s corn tortillas are prepared fresh on dedicated equipment right before your eyes. There’s much more to Austin than what lies within the sprawling city’s boundaries. Lake Travis, on the north end, is one of the area’s biggest attractions. This reservoir offers a fun and relaxing place to spend a warm afternoon sunbathing, swimming, boating or ­fishing. Get your fill of the great outdoors by heading a little further west to Balcones Canyonlands National Wildlife Refuge. Explore about a dozen trails with varying degrees of difficulty, along with ample opportunity for spotting Hill Country wildlife. If you’re ready for a light bite after a series of treats and heavy meals, put Snap Kitchen on the top of your list. This healthy fast-food spot offers grab-and-go options for breakfast, lunch and dinner. Whether you opt for lighter salads, hearty bison hash or rich grass-fed lamb lasagna, the emphasis is always on local ingredients and fresh flavors. All meals are carefully labeled for gluten-free diners, so you’ll never struggle to ­find a meal that works for you and your family. Everything is bigger in Texas, as the saying goes, and Austin is no exception. The city covers nearly 300 square miles, which means attractions are often dispersed far and wide. Do yourself a favor and grab a spot in one of Austin’s central districts, like downtown or around South Congress, so you’ll be in the middle of the action no matter what you want to do. To treat yourself to a real gluten-free getaway, stay at The Fairview, a bed and breakfast set in a stunning plantation-style home. This intimate spot has six spacious guest rooms and suites, offering a cool and quiet respite just a few blocks east of South Congress. The highlight, however, is the Fairview’s completely gluten-free breakfast menu, with freshly baked mu­ffins and scones, homemade granola and local produce. For historical appeal, book a stay at The Driskill, built in 1886 and kept in spectacular shape ever since. This luxurious hotel is right in the middle of downtown Austin, making it a great pick for festival goers and visitors who want to dig into Austin’s nightlife. Just south of Zilker Park, the Hyatt Regency is a great family-friendly option. The hotel offers easy access to the park, Barton Springs and the South Congress area. The Hyatt is also adjacent to the dock where the bat cruises depart, so you’ll have no trouble adding one of the city’s most unique attractions to your agenda when you stay here. For the best weather and the liveliest atmosphere, visit Austin during spring or fall. The city comes alive with warm weather and countless events in March, starting with more than two weeks of the SXSW music, film and interactive festival. The Star of Texas Fair and Festival brings barbecue, rodeo and music to town in late March, while film, fashion and art festivals pop up throughout April and May. Temperatures tend to hover in the 70s during the day before cooling off at night, so the spring season is also a pleasant time to be in town. September and October typically have temperatures in the 80s, which means it’s festival season again in Austin. ACL takes place in Zilker Park over the course of two long, music-packed weekends. The Austin Film Festival, the Grand Prix and the Fun Fun Fun Fest bring music, film and Formula 1 to town in October and November. Of course, summer and winter aren’t bad times to visit Austin, either. Summer tends to be hot, with temperatures often reaching 100 degrees, but you’ll find indoor activities during the day and lively outdoor patios at night. Winter in Austin tends to be mild with fewer events, which means fewer crowds, shorter lines and a little less action. From food to culture to history, Austin is truly in a league of its own in the Lone Star State. Whether you’re planning a family vacation, an indulgent getaway or a festival weekend, you’ll find just the right amount of food, fun and quirkiness to keep you coming back for more.